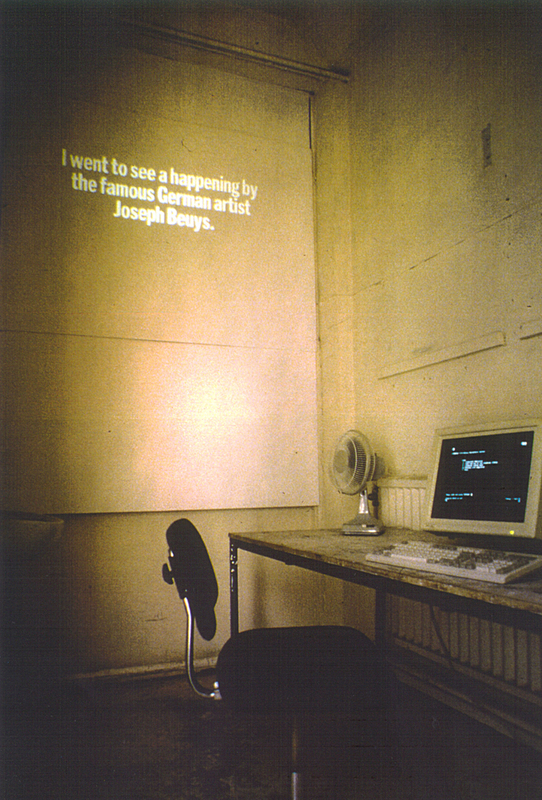 Installation with digitally manipulated photograph, video projection, computer network and artist's books. Exhibited at C&GCHE Degree Show, Cheltenham. Singularity (Degree Show) linked together various points around the college both physically and psychologically. 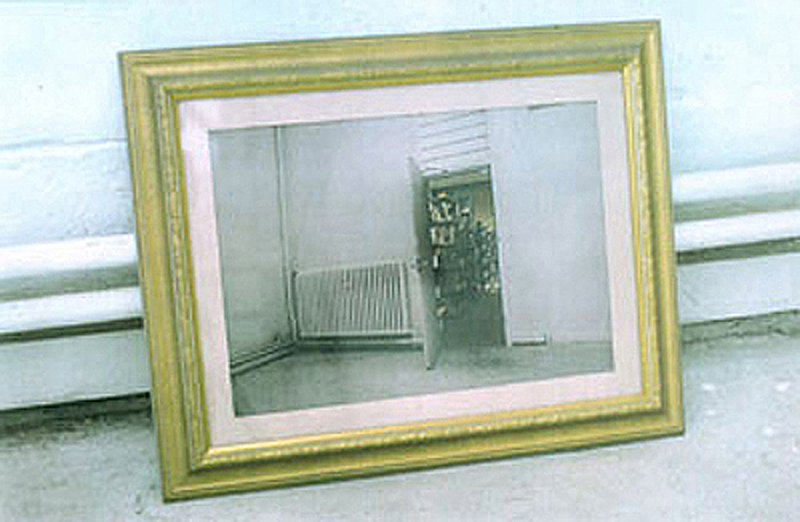 The print showed an alternate view through the doorway in the gallery space. 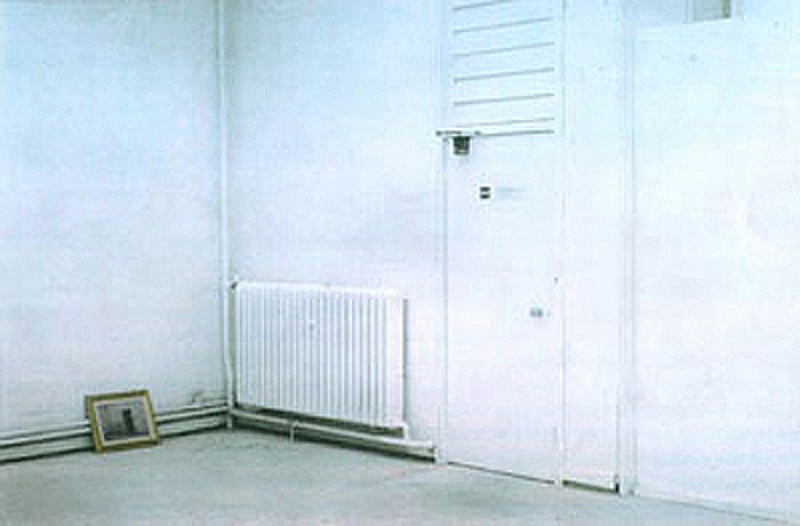 In reality behind the door was a small office, in the picture it showed the library. 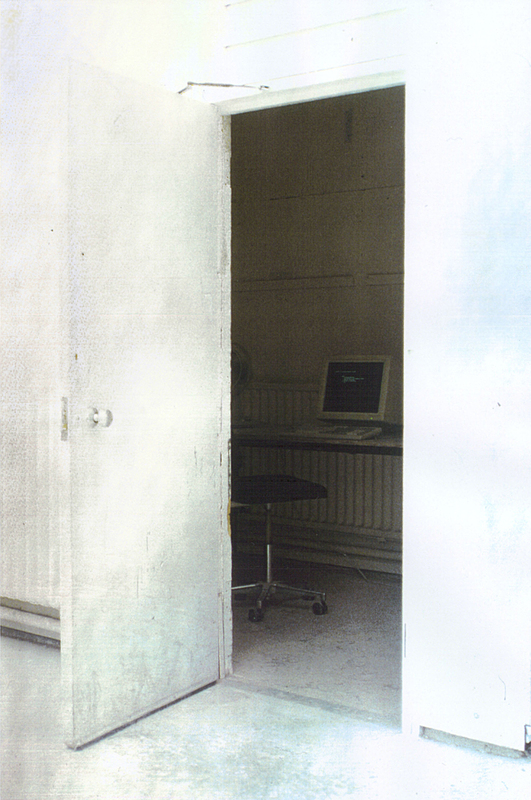 Inside the small office was a video projection showing the false parallels video piece and a computer terminal. This computer was linked to the college library search network. If you typed in Rich's name or the name of the work you were given five locations, the first being the one you were in, the others being the locations of four artists' books he had put in the library.